Fig.1: Euchondria aurilaevis (Roemer 1852). Bohučovice - Na Žlabech sever / BČ-1, sign. PPC B79 - pozitiv. Fig.1: Euchondria aurilaevis (Roemer 1852). Bohučovice - Na Žlabech sever / BČ-1, sign. PPC B79 - negativ. 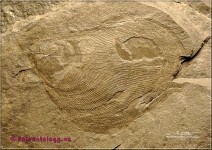 Pavela M. (2016): Fossil species: Euchondria aurilaevis (Roemer 1952).